View this content on Daily Trust. The Federal Government is considering the utilization of methanol fuel technology to generate electricity and expand the chemical industry. 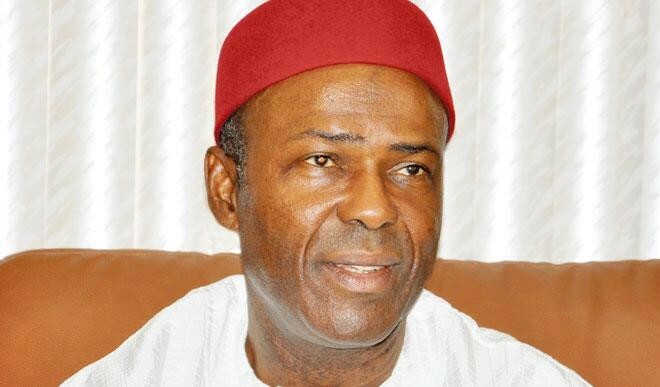 The Minister of Science and Technology, Dr. Ogbonnaya Onu disclosed this while inaugurating the Technical Committee on Methanol Fuel Technology Implementation programme in his office in office on Monday. Dr. Onu said the adoption of methanol would revitalize our weak industrial base as many chemicals would be produced by industries through its exploitation. According to Dr. Onu, methanol fuel is now widely used in most parts of the world, adding that it is high time Nigeria joined the trail considering our abundant natural gas resources that is being flared wastefully. He further said methanol is cheaper and is more environmentally friendly, adding that it will eventually reduce the cost of fuel in the country. Dr. Onu said twenty-five percent of natural gas that is being flared in the country posed health risk affects negatively the social life of the people who live close to the site of crude oil production. This gas, he explained, can be harvested and converted into methanol for industrial used as well as fuel production, adding that it will boost power supply, create wealth and employment opportunities in the country. Dr. Onu charged members of the committee to hold wide consultation with relevant stakeholders within and outside the country and come up with workable blueprint for methanol programme implementation.